The Monarch is back for more zany plans! 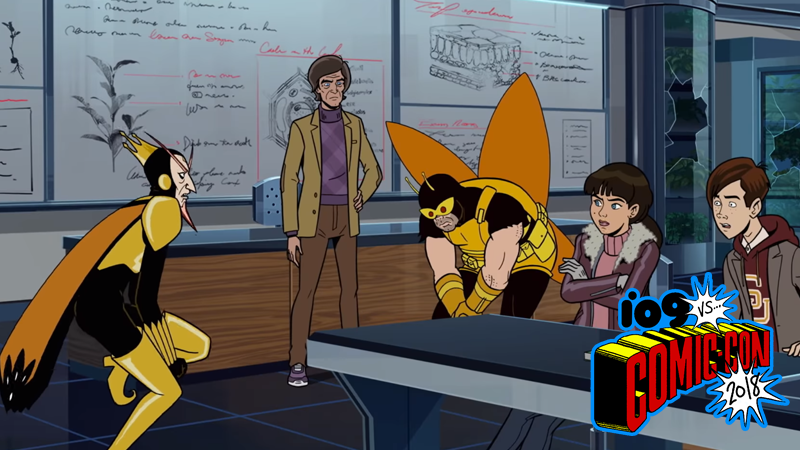 After what feels like eons of waiting, here’s a real good look at The Venture Bros.’ seventh season is here—and there’s changes afoot for everyone. New alliances! New foes! Demonic robots! Hank, actually maybe having a successful relationship! It’s all happening, and it’s all happening very soon. Catching us up on everything that’s happening in the expanse of time between season six and this means we only really get hints as to what’s in store for the Ventures and the Monarchs alike, including a fledgling alliance? Even though many of the characters seem to have been kept running—one might even say running scared—all the myriad scenes are still very funny in the classic Venture style. Plus, hey, at this point any look at season seven is good news. Even better news is that it’s actually just weeks away: The Venture Bros. will finally, finally return to Adult Swim on August 5.